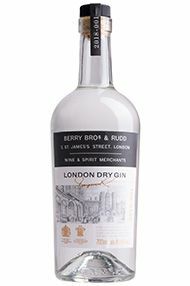 Just one bottle of our original London Dry Gin remains. Armed with a vial of this precious liquid from the 1950s, our expert team of distillers has recreated what was once known as “Berrys’ Best”. Filled with heady juniper, the nose hints at violet creams and a soft chalkiness; while the palate is appealingly soft with a floral slant. Most importantly, it makes a superlative G&T. Nose: Latent if subtle juniper; flora and violet creams; a touch of soft chalkiness and a hint of sweetness. Palate: Appealing, soft and approachable, round easy to drink; deliciously floral with a slight sweetness. Botanicals: Juniper berries, coriander seeds, angelica root and winter savory.